Check out the Google home page today. 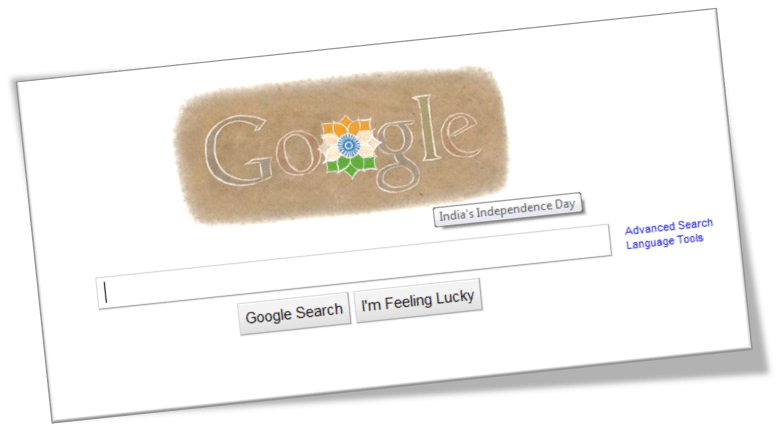 The Doodle celebrates 63 years of Indian Independence. It’s great to see a Rangoli with the colors of Indian National Flag (Saffron, White and Green) and an Ashoka Chakra in the middle. Do check – http://www.google.com/ to experience it! India got its freedom from the British rule in the year 1947. Today, flag-hoisting ceremonies are conducted all across the country. The main event takes place in New Delhi, the capital city of India, where the Prime Minister hoists the national flag at the Red Fort and delivers a speech. He highlights the achievements of his government during the past year, raises important issues and gives a call for further development. Posted in General, Google and tagged doodle, Google, india. Bookmark the permalink.